Now you can preserve your “Once In A Lifetime” gown for the next generation with our exclusive “Museum Style™” Heirloom Preservation System! With the careful planning that goes into selecting the perfect gown, many brides are choosing to preserve their dress as a keepsake or with the dream of passing it down to a daughter or close family friend. While a gown may be worn just one day, and may not appear soiled, it will require careful cleaning. Hidden soiling includes perspiration and body oils. Long gowns will pick up soil along the hemline and train and very likely, there will be food and beverage spills. Some stains, which are not immediately visible, will develop with age, through oxidation, discoloration, causing damage to the gown. 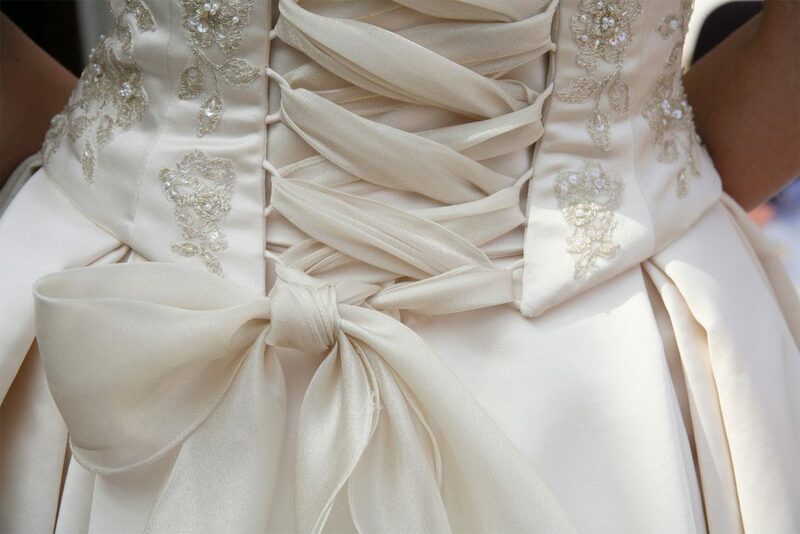 Pride Cleaners will professionally and carefully clean and preserve your wedding dress. Then, your professionally finished preserved gown is delivered right to your home, saving you a trip.